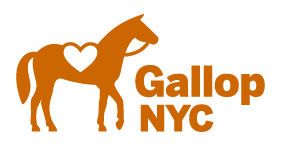 If you no longer wish to receive our newsletter and promotional communications, you may opt-out of receiving them by following the instructions included in each newsletter or communication or by emailing us at info@GallopNYC.org. GallopNYC communicates with parents and volunteers through email. It is important that you NOT opt-out of email communications with us. We cannot restore you to our lists after you have opted out.